The City has asked that we notify everyone that the Parade has been canceled by the City at 1630 on December 7th in the interest of safety for decorated boaters and our working boats. It will not be rescheduled, because of permit problems (the harbor needs to be closed for the event). 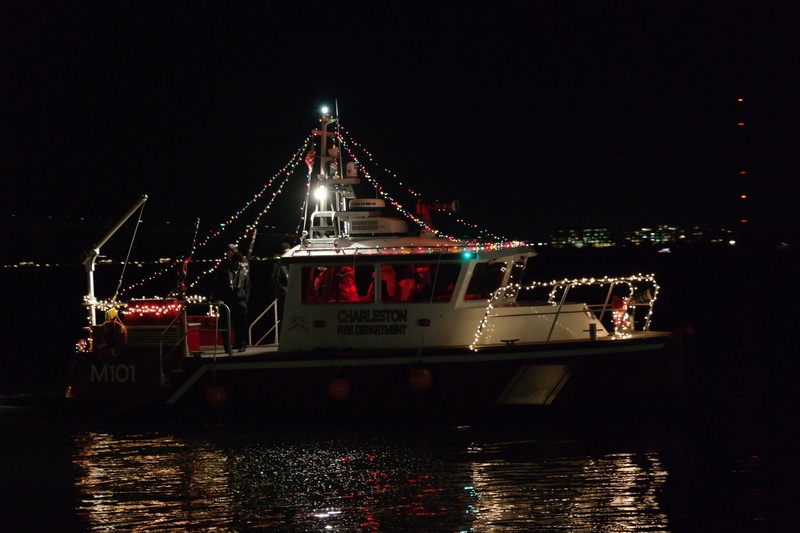 Charleston, S.C.—The 37th Annual Holiday Parade of Boats, produced by the City of Charleston and America’s Boating Club Charleston (previously known as the Charleston Sail and Power Squadron), will be held in Charleston Harbor on Saturday, December 8, 2018.